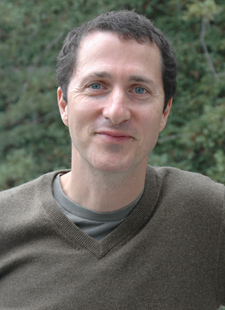 Daniel Press, the Olga T. Griswold Professor of Environmental Studies and the executive director if the Center for Agroecology and Sustainable Food Systems was interviewed in the progressive news magazine Mother Jones for a feature about president-elect Donald Trump's stance on green energy. Press was asked about renewable energy certificates, a energy commodity that represents renewable electricity that can traded or bought on the utilities market. "The effectiveness of RECs is often disputed by critics such as Daniel Press, a professor of environmental studies at the University of California-Santa Cruz. Press argues that RECs do little to reduce emissions in the real world because they have become too cheap to shift energy markets or incentivize businesses to build new turbines or solar panels. Often, RECs can be purchased for far less than what it actually cost to produce the renewable power that they supposedly represent. "You're still buying electrons that are generated from a coal plant or from a natural gas plant," Press told me. "So you didn't cause the wind turbines to be built, because no one can build a wind farm for 10 cents on the dollar."" Read the full article on the Mother Jones website.